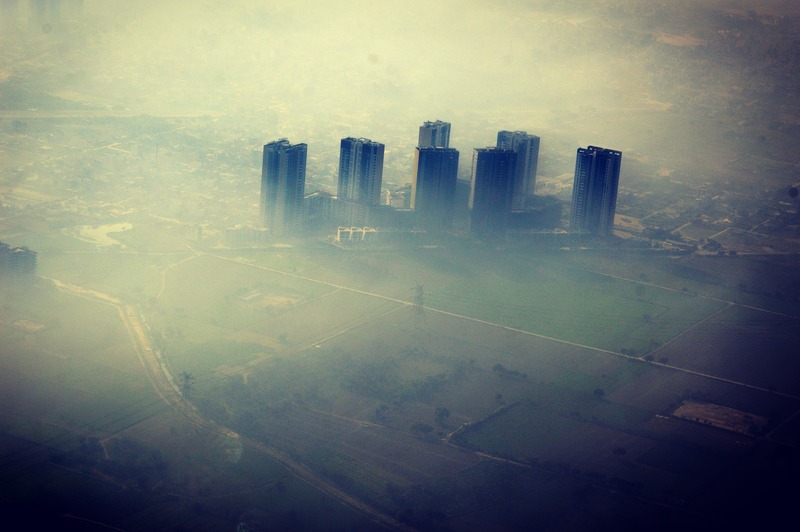 Air pollution is a rising concern across India (rural & urban) and the city of Delhi has become the most studied city in the world about its environment. Severe air pollution has been disrupting everyday life in Delhi, but it gained worldwide attention when in November 2016, Delhi woke up to a thick layer of smog covering the entire city after celebrating Diwali. The air quality plunged to the hazardous zone, recording a whopping 700 on the AQI at some places in the city. A little fast-forward, the situation in 2017 didn’t improve either and Delhi recorded six straight days of hazardous air quality in November. Government and local bodies have been making an all-out effort to curtail this humongous problem by various interim efforts like shutting down the schools and Badarpur power plant for several days, implementing the odd-even scheme, advising people to stay indoors, banning construction & demolition work, etc. But despite all the initiatives, the air quality couldn’t meet the WHO standards. Poor air quality due to pollution is not confined to Delhi-NCR region alone, other states are hardly any better as 10 Indian cities found their place among the top 20 most polluted cities across the globe. As per the ‘Airpocalypse’ report from Greenpeace association, out of 630 million Indians covered in the report, 550 million people live in areas exceeding the national standards for PM10 and 180 million live in areas with air pollution levels are more than twice the standards. World Bank estimates that India loses 3% GDP every year due to air pollution. Air pollution is a complex issue that affects both our health and economy. The critical situation in these cities point not just to the need of short-term measures to curb air pollution but also strict long-term action plans for better control on air quality. Technology can play a key role in effecting long-term, sustainable solutions to this problem. Monitoring is key, and technology can accumulate environmental data and analyse it to unlock deep insights into Air Quality variations based on region, climate, population, etc. Analysing the composition of pollutants helps identify the source of pollutants and the impact on environment & health. For instance, the analysis done by IIT Kanpur regarding the relation between the pollutants and originating sources pointed out that the levels of PM2.5 and PM10 were higher in the city. It is caused by a combination of anthropogenic emission sources like vehicle emissions, industrial combustion emissions, residential combustion emissions, etc. Smart City initiatives by the government aim at utilizing technology to provide its citizens, a quality, and sustainable lifestyle. Environmental monitoring can be a focus area in all the smart city implementations. Continuous and ubiquitous environmental monitoring enables data-driven decision-making for authorities and empowers the citizen with information. The data can be accessible to all the development authorities, local bodies, and road transport authorities in a single dashboard from anywhere, anytime. It can help fill the geographic & spatial gaps that exist in the traditional systems offering a broad array of benefits. In addition, to shed light on the composition and contributing factors in real-time, technology also offers a hand in various resolution mechanisms as well. Transportation is a key contributing factor to pollution. Industrial emissions and thermal energy generation are other contributing factors that can be addressed with cleaner and greener energy sources. Adoption of electric vehicles, mass transportation systems etc. are few ways where technology can change the ecosystem of these contributing factors. Energy monitoring and management, with an EnMS (Energy Management System) in industrial, commercial and residential use can further reduce the energy consumption by 15-20%. Stringent enforcement of effluent content and penalties on breaches are made possible with real-time monitoring and alerting, encouraging an overall focus on adherence. Better waste management in smart Cities contributes to pollution control by recycling and reducing both transportation & burning of waste, thus reducing its environmental impact. With more technology driven, statistical and orchestrated actions from the government and sensible lifestyle choices by organizations and individual citizens, creating a greener and healthier environment will not be an elusive dream.